Medicine Ball(MEDICINE BALL) - Yuan Chi Sports Enterprise Co., Ltd.
2 LBS, 4 LBS, 6 LBS, 8 LBS, 10 LBS, and 12 LBS available. 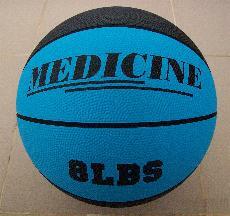 Not only rubber medicine ball, we also supply laminated medicine ball. For this, we can apply PU and PVC materials. Basketball pebble surface for superior grip. Good rubber compound for tacky feel. Durable construction to bounce off hard surfaces. Besides rubber basketball shape, we also supply regular medicine ball shape.